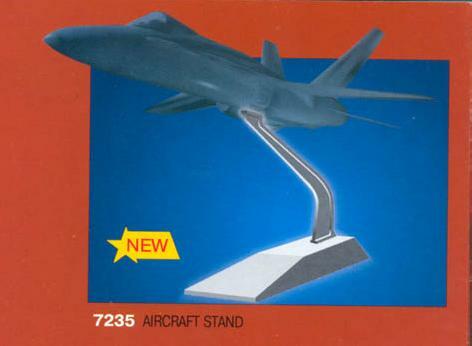 Airfix has always chamionned simple standard stands . 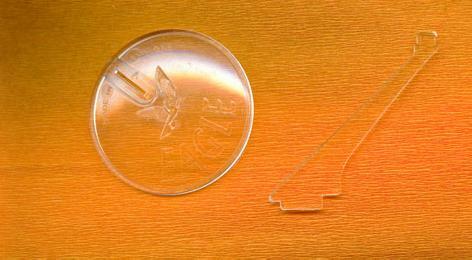 Here you have the two versions used with « series1 » and « series2 » kits : on the left the modern type(from 1965 to about 1990 ), on the right the old style (before 1965) There were variants in the style of the slot arrangement. You got three perfectly similar versions that grew larger with the kit (élévation (about) 5; 7 ; and10 cm). A few kits got the larger 10 cm elevation model molded in black like the 2000 vintage reissue of the Orion Spacecraft. The Chinese company Galaxy use this standardized stand which is original in being injected in two colours.